The overnight escalation of the "anti-terror" fear-mongering campaign that the government and media have perpetrated since [the USA CIA false flag] September 11, 2001, will be a convenient diversion from the government's new industrial relations laws, opposed by the overwhelming majority of people in Australia. Any doubt that the raids were politically stage-managed should be dispelled by the fact that the police invited sections of the mass media to join them. Forty-eight hours after the arrests, the details of the charges against the 17 remain undisclosed. However, this has not stopped the media and politicians, Coalition and Labor alike, proceeding to charge, try and convict them - whether or not they are guilty of any illegal activities. 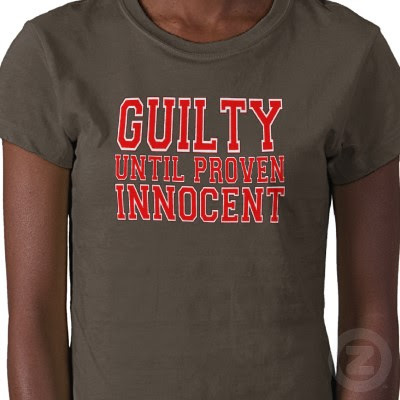 The presumption of innocence until proven guilty has been thrown out the window in the so-called war on terror. The chances of these 17 men now getting a fair trial is now almost nil. The Socialist Alliance condemns all terrorist acts [and false flag operations] The targeting of innocent civilians is horrendous and unjustifiable. But there is a fundamental difference between discussing political and religious beliefs, suicide bombings or even how to make a bomb, and actually carrying out a terrorist act. That difference - between thought and action - has been obliterated in the new terror laws that the Howard government, with full Labor Party backing, is rushing through parliament. These laws, which criminalise dissenting ideas, annul the right to silence and remove legal "due process" from public view, are a violation of basic human rights. If we are to continue to call Australia a democracy, they must be resisted. The Socialist Alliance joins with all those who refuse to be intimidated and silenced by the government's "anti-terror" propaganda and laws. We will continue to speak out for the immediate withdrawal of all Australian military personnel from Iraq and Afghanistan. The Australian government's participation in the inhumane and illegal war on the Iraqi people, and its wholehearted support for imperialism's war of terror, is creating more, not less terrorism. We will continue to campaign for the repeal of all federal anti-terror laws, and demand that the federal ALP opposition reverse its shameful support for Howard's police-state laws, and that all state Labor governments repeal the anti-terror laws they have passed in recent years. [The Socialist Alliance is helping to establish an emergency response network of all those who want to help defend individuals or organisations under attack from the new police-state laws. To sign on to the network, email national_office@socialist-alliance.org, or visit Socialist Alliance . Ed: HoWARd pulled all the strings it had nothing to do with him giving up anyone. HoWARd announced the terror legislation and to back it up arranged for the PR stunt. He secured the states and the state police. The State pre-meditators needed help too. So the neoliberal team all worked together to pull it all off. The idea that hoWARd gave up the police operation was another big PR accessory after the fact of the announcement to validate it. That's why Kerry O'Brien on 7:30 (the night before the raids) attacked hoWARd's credibility over the amendment rushed through the house. He made Howard look silly. But that was the plan. Because they both new the raids were on there way just like 4 Corners [walls] new. They did a great job. Showmanship! And you will never know about whether the suspected terror allegations are true or false until hoWARd has secured the new Anti-Terror Legislation and IR laws passed through the house? IR law changes fit in real well that's how you kill two birds with one stone. 4 Corners [Walls] ran the HRMU High Risk Management Unit at Goulburn on Monday night so hoWARd could validate the secure operation and show the Muslims suspects where he was sending them. That's how cunning he is. 4 walls have been doing hoWARd's bidding for some time. Shame howard shame! I'll bet the 100 to 1 that the alleged terrorists are vindicated but by then it will be too late. I hope the people of this country are not so stupid as to let hoWARd run away with the law!